TLC was the original Destiny's Child. They were outrageous, sassy, and reeked of funk! With 90's vibes and early 200's fashion, these ladies have inspired an entire generation of style, and let's not forget that attitude. Their hit "No Scrubs" has been an anthem of mine and my gal pals since forever. It was the tune we played on repeat at all of our sleepovers. We would gossip and divulge secrets all the while singing "no I don't want no scrub!" at the top of our lungs. If you haven't done this, you're depriving yourself of some vital adolescent nostalgia, but don't stress, there's still time! Get your friends together, get snacks, nail polish, pillows (maybe a nice bottle of wine now that you're probably older), and hit up Spotify for this track. You'll be creating cherished memories in no time! 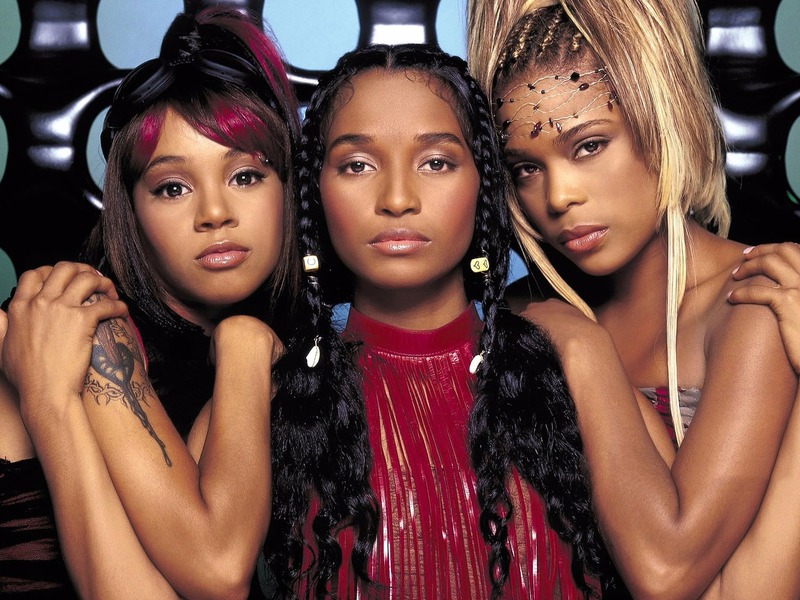 With lyrics that speak on a not so subliminal level, TLC crafted the most iconic feminist number of the past few decades. We've all had a scrub, we've all been down that road, we've all been cat-called by some guy "hanging out the passenger's side of his best friend's ride." The lyrics speak true again and again, but that doesn't make being a woman in this world any easier, am I right? On a comforting note, at least knowing someone else feels the same way helps us get through it, and that's why this track remains so damn powerful. If this song sparks some sort of women army, then we should let that happen! We can fight off all those scrubs by just singing the lyrics… can't we? Despite it being 2017, we haven't really progressed on this front. Women are still considered second class citizens in many countries, and in the wake of these overwhelming sexual assault allegations in Hollywood, us ladies still have so much to fight for. This song resonates with all women on some level, it's a kind of "screw you!" to the patriarchy. TLC have handed us the perfect weapon needed to combat our modern society, where it "can't get no love" from any of us, not until things change. We can storm places like Trump Tower and blast this, to let the world know we don't take crap from anyone, especially misogynistic people! With lyrics like "No, I don't want your number" and "No, I don't wanna meet you nowhere" we feel in control to say no to unwanted pressures. By reiterating this kind of mantra we remind ourselves it's ok to say no, and we are allowed to say no without any justification. This sends such a strong message to all women to be confident in our choices. In this social media age there are constant pressures to be busily active -- instead this song lets us know that it's perfectly fine to sit at home, eat a whole block of chocolate, and binge watch Pretty Little Liars (OK, PLL wasn't a thing when this song was released. Maybe Friends). I'm sure we have all experienced some pretty heavy FOMO, but "No Scrubs" is a little reminder to treat ourselves with the best kind of love: self love. TLC will continue to bless us with their music and their sass. T-Boz, Left Eye and Chilli would have wanted us to remain relentless in our womanhood, because we can run the world!